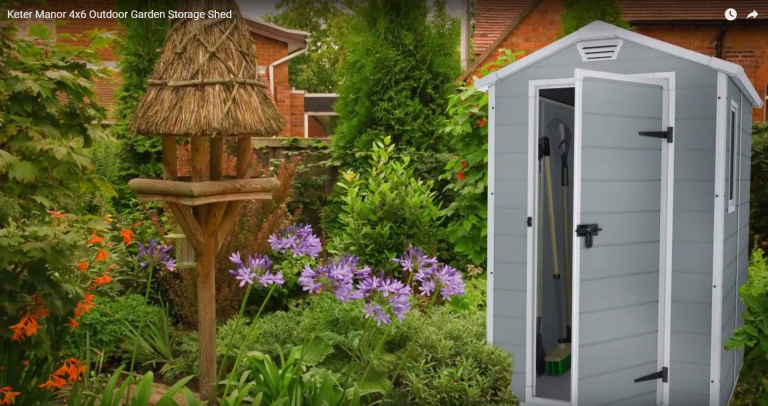 Keter’s Manor plastic garden sheds 6×4 deliver the perfect outside storage solution for where space is tight with regards to stood between a house and fence-line, restricted zones within a garden’s landscape, situated in the corner of a patio or where space is rather limited on a backyard. The picture perfect appearance exhibited through the Manor range provide an attractive addition of modernism to any home-yard’s oasis whilst the imperishable facade’s make-up equips the composition with weather-resistance putting an end to future’s upkeep duties relating to decaying dilemmas. The composition however is a breeze to maintain the unblemished appearance, this captured our attention towards the quality plastic sheds variety. The facile approach of an undemanding light spray-hose down on a summers evening epitomises how effortless yet leisurely the latest contemporary designs entering the market are to clean. The 6 feet depth and single door provides an ideal outdoor walk-in storage solution for bike accommodation. Other popular services include a well-favoured shelter for gardening equipment, a small lawnmower, plant & lawn supplies, BBQ and grilling paraphernalia, patio seating & necessities, sports & fishing gear, storage possibilities are quite endless. However, this Manor 4×6 is up against stiff competition. 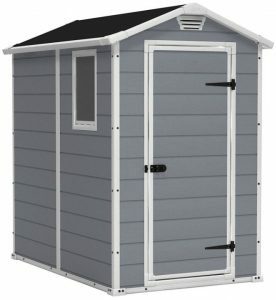 Keter’s Factor 4 x 6 ft Shed is a very similar design, manufactured by the same company, offers an enclosure of durability and weather-resistance, is sturdier than the Manor due to steel reinforcements, delivers wider access, receives stupendous feedback and is part of Keter’s global best selling Factor range of sheds. 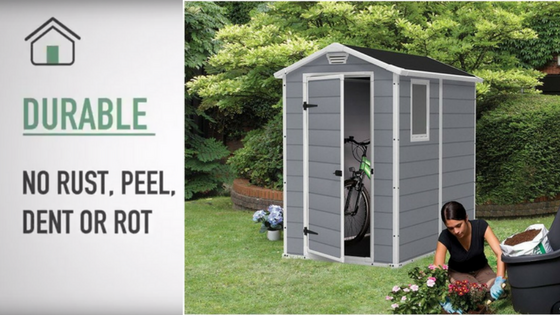 The baffling scenario relates to why the Factor 4 x 6 ft shed delivers more features and advantages yet is far cheaper than the Manor. Work that out! 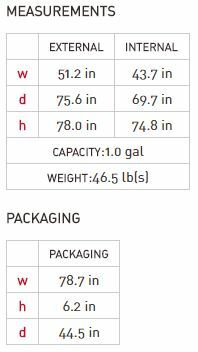 Here at Quality Plastic Sheds we have no allegiance for any particular type, style or manufacturer, we just provide visitors with honest information to help make an informed decision. Endorsing environmentally green credentials Manor sheds are manufactured from 100% recyclable polypropylene resin, a composition of panels enclosing the entire unit including the walled facade, roof sheet, door and built-in floor panel. Manor’s polypropylene resin is shaded light grey exhibiting an attractive style surrounded by white trims. The molding procedure extrudes the resin into a twinned wall composition, enhancing cohesion. The rigidity produced refrains from cracking and the unattractive appearance dents display. Four full height panels produce the 6 ft sides, one of these panels includes a fixed window which has the option of being installed on either side. One back panel plus a front panel with an opening for the door complete the facade surround. Each resin wall sheet is molded to resemble horizontal wood panelling with a textured grain effect decorated throughout the surface. The panels simply join together by sliding into the profile groove design of the white trims aided by the inclusive spatula and secure with screws. The polypropylene make-up delivers a weatherproof facade without being susceptible to deterioration through decay whilst UV protection blends within the mix averting bleaching and colour-fade consequences upon exposure to the sun, issues unprotected plastic is prone to when attacked through sunburn. Manor’s surface provides the maintenance-free benefits with regards to escaping conservation duties. A spray-hose down is generally all that’s required to restore the lustrous finish. Whenever dirt becomes inlaid within the surface; light detergent, warm water and a soft brush wipes the grime away. Many just increase the water force of their hosepipe or use a pressure-wash to quicken the process. 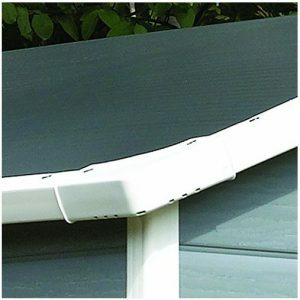 One folded roof sheet opens up, secures around white trims and tops Manor sheds off with protection, no joins to secure therefore no leakages through cracks results in this impressive capping off design. Supplementary steel truss systems spanning the internal width providing enhanced bolstered support for heavy snow-loads seen on large sheds are not required due to the small roof span Manor sheds portray. The 4 ft width front and rear panels supported in conjunction with the 6 ft side panels deliver the roof with 75 kg/sqm snow support to survive the winters. Absent from a stylish molded tiled slate design due to their competitive price, a twinned wall manufacture of polypropylene resin tinted dark grey concludes the roof composition. An apex designed structure delivers Manor’s proficient roof drainage system, adequately angled to prevent puddles whilst delivering 1.9 metres internal height, sufficient for an adult to roam around without bending over whilst the edges of the roof sheet overlap the facade prohibiting the occurrence of rainfall gaining entry where the walls abut. Polypropylene resin caps Manor sheds off with an imperishable weatherproof composition, impermeable to rainwater whilst resistant to decay results in quite the opposite of roofing felt’s quick demise in structural format when exposed to damp conditions. No future re-roofing with a Manor shed. 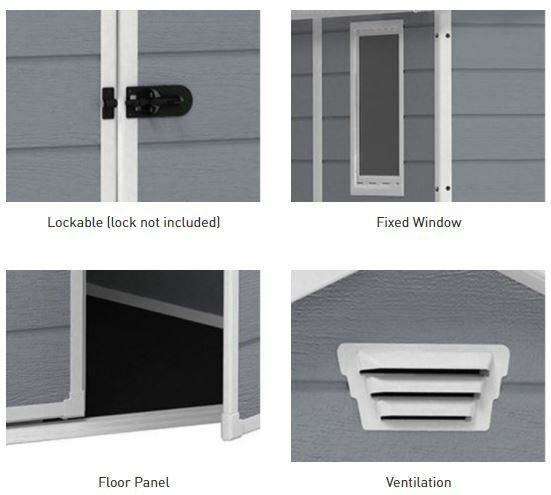 Air-vents integrated front and back above the doors replace the common occurrence regarding metal sheds internal moisture build up and plastic’s inherent sweaty atmosphere by generating an air current delivering a fresh internal ambience. We find air-vents a great additional feature through the summer months. The fixed window delivers daylight to the interior but doesn’t open for additional ventilation. If an open window is of primary concern there’s only the Lifetime 8 x 5 ft shed I have come across in a similar size that delivers this feature. The window can be fit on either side to suit garden locations. The door panel has an identical make-up to the wall facade. Attaches to the architraves by metal hinges whilst a through-bolt and clasp designed for a padlock delivers closure and security. Padlock not included. 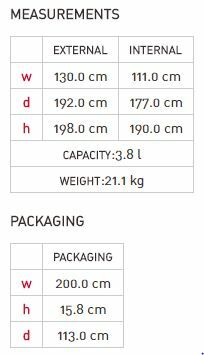 The floor panel is only thin yet is purposely strengthened to survive storage stresses however it’s crucial solid level and flat foundations are prepared, providing the correct bedrock to survive the pressures. The floor and wall panels adjoin by sliding into the profile grooves presented within the floor trim and secure with self tapping screws. We find an integrated floor panel prevents debris & rainfall gaining entry and building up on the inside of the shed floor, maintaining a preserved clean & dry internal atmosphere enhancing storage protection. Assembling this Manor shed relates to sliding the panels into the trims profile grooves and aligning plumb before fastening with self tapping screws. 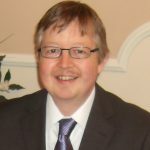 Assembly requires working through the order of instruction steps implementing the procedure represented by illustrations. 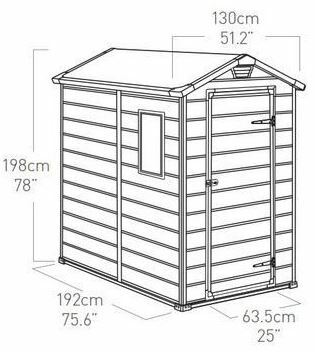 A step ladder and room around the entire shed is a necessity to enable constructing however common household tools build Manor sheds, you are supplied with a spatula to aid working the panels into the trims profile grooves. Due to the nature of the self tapping screws, recommendations are to hand tighten the screws rather than use a power screwdriver. The pivotal advice for any resin shed construction is to prepare a level substructure of wood or concrete, elevated slightly above the ground’s floodplain level. Due to Manor’s lightweight construction absent from steel supports a sheltered spot is recommended. Factor’s 4 x 6 ft Shed provides the alternative more stable construction. Aligning the panels plumb through the trim becomes a fast efficient procedure from a level base. True door alignment enabling a flawless swing is delivered from a level base. A level base produces a plumb vertical stance ensuring the roof weight applies equal pressure on all shed sides delivering the perfect straight stance, averting straining one side. A solid flat surface pays homage for Manors thin resin floor panel to survive demanding pressures. It is purposely designed to cope if laid on the correct foundations. Anchor positions are presented at pre-marked locations in the corners of the shed base requiring the correct type of screws (not included) dependant on whether wood or concrete foundations have been laid, to enable securing the shed down onto the solid ground below, increasing wind resistance and rigidity levels. Keter Manor 4×6 Assembly instructions can be downloaded on their brochure’s webpage. Manor sheds are designed to fit most peoples budgets, accommodate confined garden spaces providing a preserved shelter for outdoor storage. 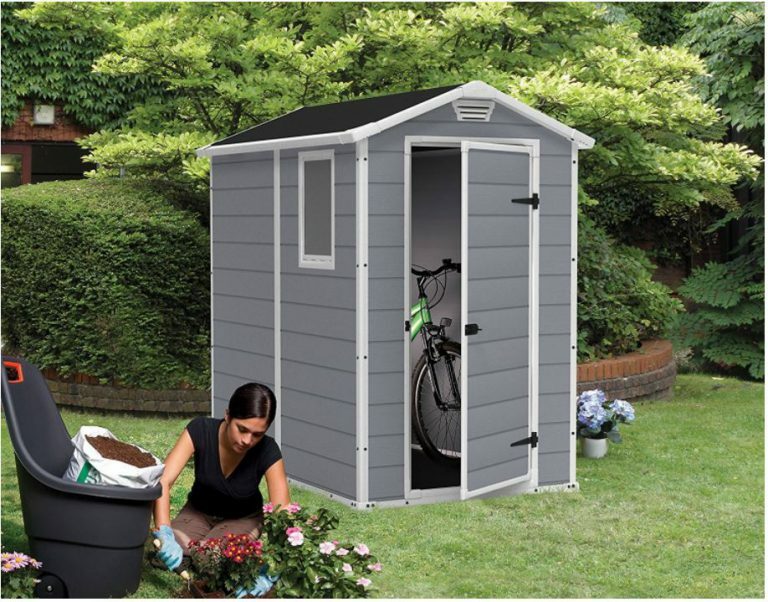 Weather-resistant, durable with an undemanding cleaning procedure are Manor’s advantages however their sturdiness can be beaten with the Factor range of sheds, same Keter family and surprisingly cheaper with additional features, the reason they are a global best selling budget range of quality garden shed. 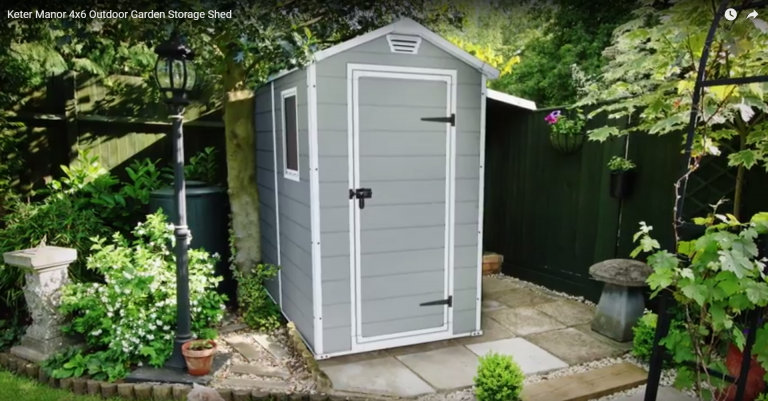 Manor’s do receive good reviews on the whole however most people are looking for a more sturdier construction, hence the dominant sales of Keter’s Factor 4×6 ft Shed. Thanks for reading about Manor’s plastic garden sheds 6×4 feet. Hope I have provided some inspiration. Any related queries, please ask in the comment section below. Always happy to help. I just got myself a bike since my PT advised me I must have one for my muscles due to arthritis and the challenge I had was where to be storing my Bike.Plastic Garden Sheds 6×4 is what I need thank you. Hi Mercy, thanks for reading the pros and cons of Keter’s Manor 6 x 4 ft shed. I hope your bike benefits building your muscles to aid your arthritis, a horrible issue many of our family members are suffering with too. Many people store bikes indoors for obvious security reasons but it becomes such a messy carry-on once Autumn and Winter approach due to wheeling in mud and wet on the floor. This manor shed and Factor’s 4 x 6 ft storehouse enable wheeling the bikes inside the store as their adequate height caters for an adult to stand up without stooping over plus you’ll have oceans of additional room for storing helmets, biking gear, accessories and service equipment. The beauty of Manor’s slim design situates in narrow garden locations, beneficial for small slimline gardens suchlike ours. We have mountain bikes too Mercy, my wife and I many times set off for a day’s cycling. We have a canal which has a walkway/cycling path near us. You can ride for miles on flat ground, it’s great. This is awesome little house. I would like to have this little house for my ping-pong table, the bicycle and the gardening tools. The thing i like the most is that you can build it nearly everywhere in your backyard because it is so small. 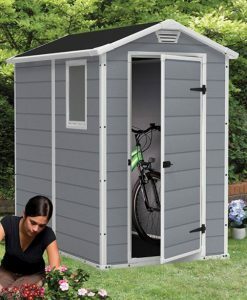 Can you buy this shed on the Internet (do they ship internationally)? Thanks for your information about this cool shed. 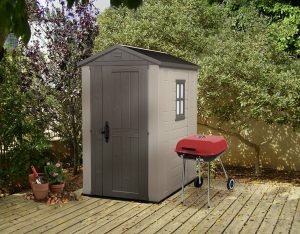 Thanks for reading about Keter’s Manor 4 x 6 ft shed. Yeah, they do look like a tiny house and they fit in tight spaces which is a huge benefit for most of our small gardens and home-yard plots providing a shape and size ideal for the corner of a patio or down the side of a house and garden fence-line. The only critical stipulation to undertake for any type of resin shed is to prepare solid and level foundations for the shed to sit on, as described in the assembly section. This process make assembly a breeze whist eliminating future’s construction headaches, all in one step.